Creating annual or business reports can be a time consuming, yet necessary, tool for your business. 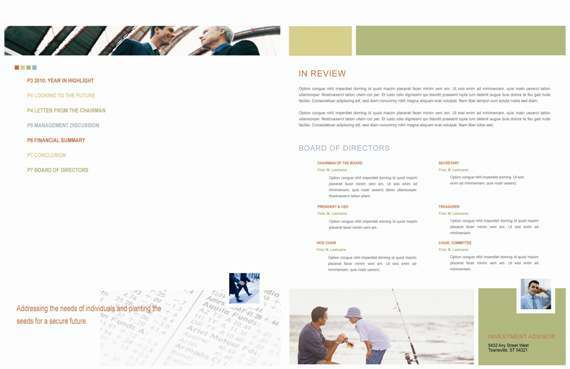 These reports are often thrown together with a free Word template that has little visual appeal. However, even if you don’t have the time or resources to involve a graphic designer, you can still create something great yourself. With a little effort you can use your existing graphic material to spice up a boring report. Most annual reports contain the same core ingredients. Below you will find the basic format you should follow in your report. Tailor it to your own needs as required. It’s always wise to lay out your content before beginning your design work. 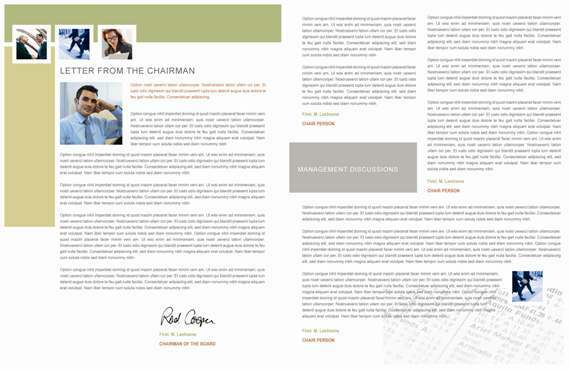 For guidance about laying out longer documents, read our article on How to Lay Out a Multiple Page Document for Print. Gather up your existing brand materials and start designing. If you don’t have brand materials yet, visit StockLayouts for professional graphic design templates. Start by making a copy of the original. Work off the copy in order to preserve your original. Use the front and back covers of the design for your report covers. 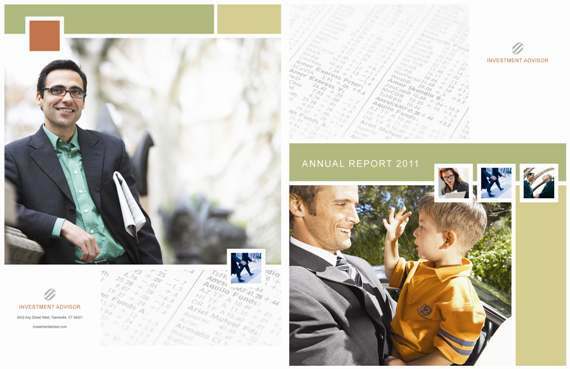 Your front cover should be highly graphical with your logo and a little text to convey the subject of the report. If the cover of your current design is heavy on text, remove body text and use headers and minimal copy to convey your message. On your interior pages, use graphic elements from the layout to add a touch of visual interest. You may need or want to insert photos, financial documents, or charts of your own. Most applications have built-in utilities for creating charts and graphics. Add your content to your design and you’ve created a professional report on your own! 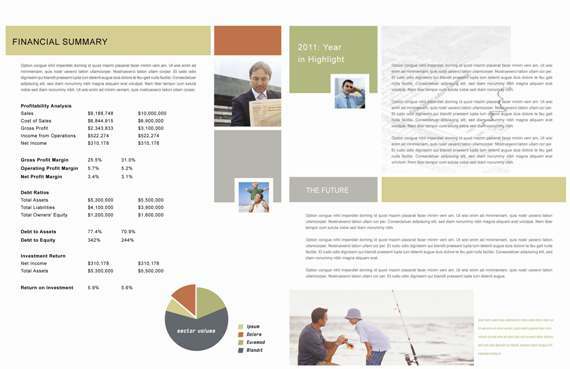 The 8-page report pictured below was created entirely using graphics from one 4-page brochure. The original brochure design is available for purchase as a template at StockLayouts.com. By re-purposing an existing brochure, we created an annual report that looks consistent with the brand and didn’t cost a penny. View more professional design templates for creating business marketing materials at StockLayouts.com. Download a free brochure template to get a head start on your next project.